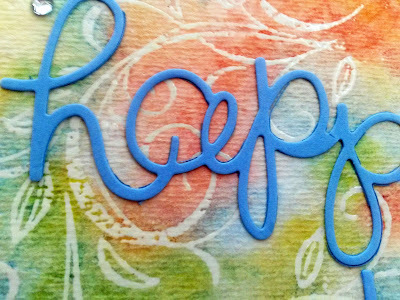 Using the resist technique in a papercrafting project is always sure to impress and is really fun to do. One of the greatest things about any resist is that it is so unpredictable. It is impossible to get the same look more than once. I usually use ink pads or ink pad reinkers when I do my resist projects. This time, however, I decided to use actual watercolors. 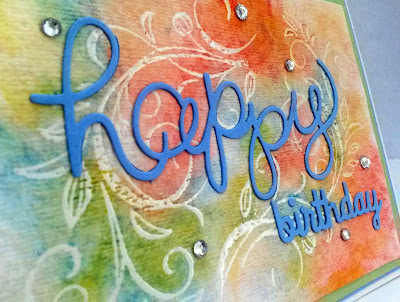 I used Koi Watercolors by Sakura in this card. It is difficult to get a great stamped impression on very textured watercolor paper. it didn't come out great once it was embossed. Part of the problem is that I was stamping in VersaMark ink, which is clear. you discover that the ink wasn't as evenly applied as you'd thought (hoped). in that it gives the color one more place to go. 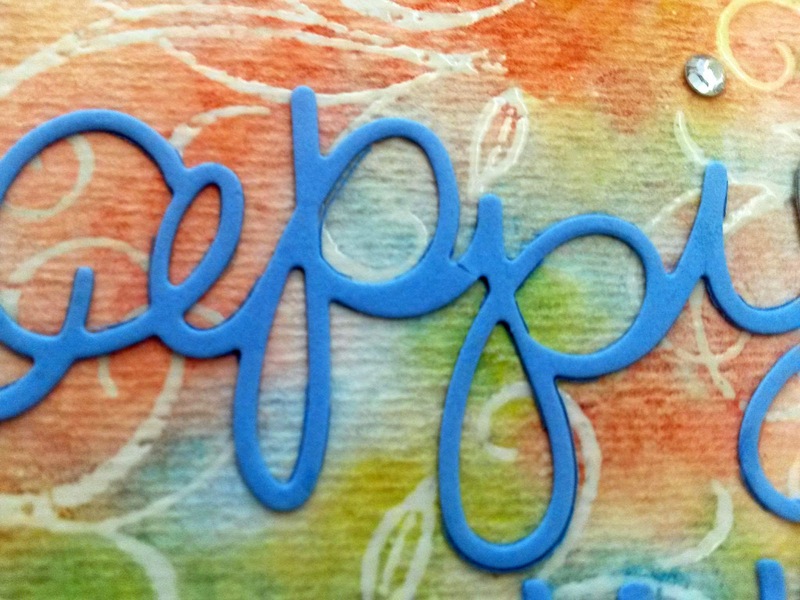 You see, the whole purpose of the resist technique is that wherever you apply the resist -- in this case embossing -- that area will repel added color. So, anything that's not covered with the resist will allow the color to sink into the paper. 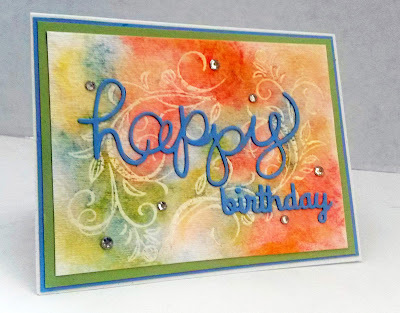 You can do the resist technique on virtually any type of cardstock. But, because I was going to be adding lots and lots of water to my surface for this project, I chose to use heavyweight watercolor paper. To do this type of resist, rub your paper surface well with an Embossing Buddy to make sure you don't have embossing powder where you don't want it. Stamp your desired image in VersaMark ink. 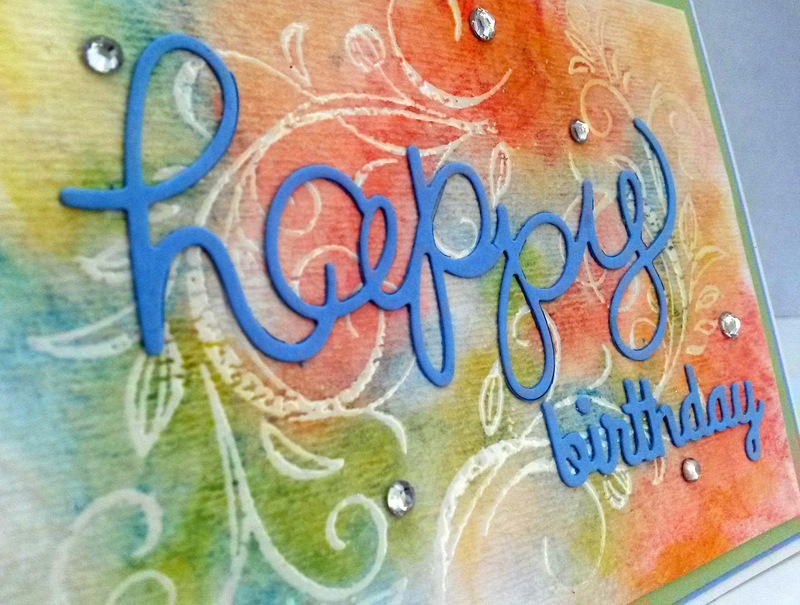 Cover the stamped image with clear embossing powder and use a heat tool to set it until it is shiny all over. There. Now your resist is in place. Paint the entire surface of the watercolor paper with clear water. I brushed it on with a clean wide brush. Carefully add watercolor, not letting it pool too much in one spot. Move it around a bit. You can use the heat tool to speed the drying in between. But, you get a much different look if you let it air dry. So, if you have the patience, that is really the way to go. If you get too much pooling at the edges, gently wick it up with a clean dry paper towel. If you use too many colors with this technique, you run the risk of it all turning to mud. The nice thing about working with variations of the primary colors -- red, yellow and blue -- is that they all blend beautifully, and the risk of making mud is minimal. Once you are happy with the looks of your dried piece, take a bit of paper towel just slightly moistened and gently rub it across the embossed image to remove the bit of color that may have adhered. With this technique, unless you use painters tape to flatten it on to a firm surface, you are going to get some buckling and warping. Not to worry. Simply use a good liquid glue to adhere it firmly to a cardstock base. Look at my first photo. You cannot notice any unevenness, can you? 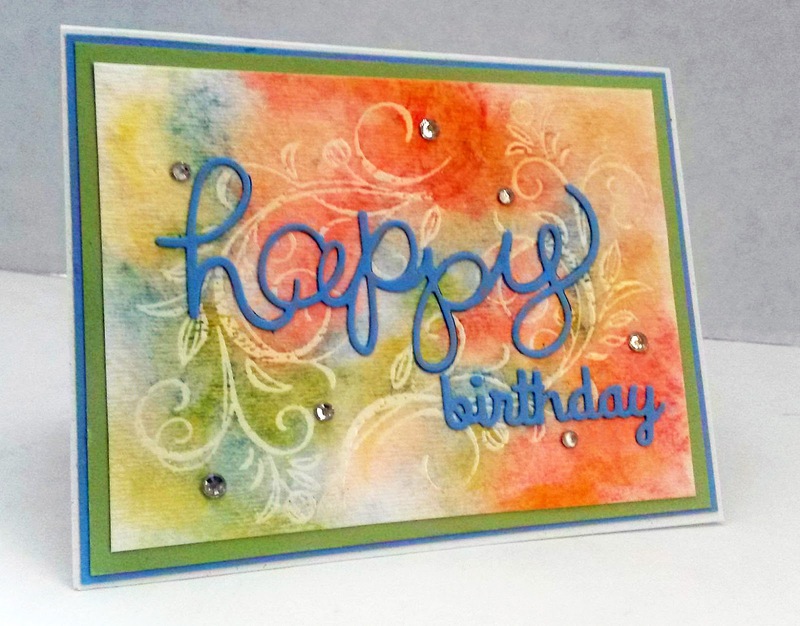 For a brighter, less subtle look, use white embossing powder in lieu of clear. The use of white makes the stamped and embossed image pop much more. What is your favorite resist technique to use? Please share with us! Very pretty! Thank you for attending the #WednesdayAIMLinkParty. I shared your post. That is so pretty! I love this. Pinned. This card is lovely!! Thanks for sharing on the Pleasures of the NW's DIY link up! Pretty technique! 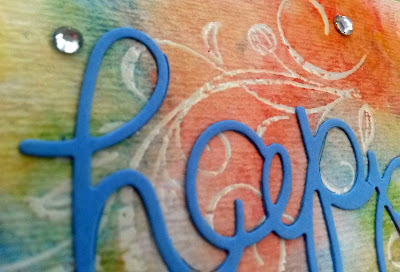 The colors make it a cheery card. Thank you for sharing at Ravenwould. Love, love, love the watercolors! Thank you for sharing with us at Celebrate Your Story, and I hope you’re having a great weekend.